We Design, Qualify, Manufacture, Repair and Overhaul a wide range of Electromechanical components and Systems specific to the requirements of industry, to meet extreme environmental conditions including vibration, acceleration and shock. The Manufacturers UK SME of The Year & Manufacturer of The Year 2010 Castle Precision is a high performance machining supplier of complex parts and packages to leading multi-national companies in the Aerospace and Defence sectors. Our team of over 160 highly trained personnel operate an advanced, fully-computerised manufacturing facility based in Scotland. Castle's exceptional facilities, machinery, people and systems set it apart as a leader within the sub-contract machining sector. In recognition of this, Castle Precision was the first company based in Scotland to be awarded the Supply Chain 21st century (SC21) Bronze status as well as becoming The Manufacturer's - UK SME of the Year & overall Manufacturer of The Year 2010. 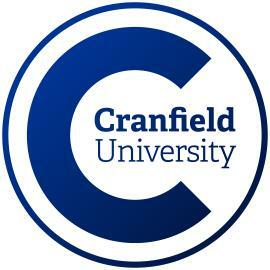 Cranfield University is an exclusively postgraduate university that is a global leader for education and transformational research in technology and management. We bring together aeronautical engineering, materials and manufacturing knowledge with expertise in the security and defence fields. As the academic provider to the UK’s MOD, and with close commercial partnerships with leading organisations such as Airbus, BAE Systems, Boeing and Rolls-Royce, Cranfield has been at the forefront of aerospace and defence technology for over 60 years. We offer a unique gateway for teaching and research, underpinned by advanced facilities, some of which are unique. From the development of unmanned aerial vehicles (UAVs) and infrared camouflage materials, through to humanitarian de-mining activities, and insights right across the business of flying, Cranfield is providing specialist knowledge to military personnel, emergency services, governments and NGOs in the UK and around the world. Eaton is a world leader and premier innovator in providing cutting-edge systems, solutions and technologies to the global aerospace industry. Eaton designs, develops, manufactures and integrates the industry's most advanced offerings in the areas of cockpit interface, electrical power management, engine solutions, fuel and inerting systems, hydraulic systems and motion control. Eaton products power hundreds of military and commercial aircraft platforms with a focus on improved reliability, safety, weight reduction, fuel efficiency and lifecycle cost. Eaton's comprehensive portfolio of components consistently sets the industry standard for engineering excellence, resulting in superior systems design and integration capability. Eaton has the resources and capabilities required to customize solutions for today's industry needs while developing new technologies for next-generation aircraft designs. EDO MBM Technology Ltd is a centre of excellence for all Air Weapon Carriage, Release & Interfacing. It has a pedigree of over 40 years and specialist capabilities in:- • weapon Carriage, Release and Ejection Equipment supply • pylon electrical, electronic and mechanical Interface, Arming & Actuation Ancillary Systems supply • on-weapon Suspension and Interface Equipment supply • Conceptual Design, Development and Prototyping Service provider to aircraft and weapon primes [for store/ platform integration and interfacing] • Problem Resolution Service provider to defence organisations [for rapid capability enhancements and in-service operational issues] • Technical Services provider to UK MoD. EDO MBM’s key competencies include:- • design, development and prototyping • validation • flight/ mission critical safety analysis & systems integration • qualification, certification, air platform integration • specialist manufacturing • in-service support. Simrit Your Technology Specialist. Dependable sealing technology for the Aerospace Industry. In aerospace, there is no compromise for outstanding product quality for sealing components. Our sealing pedigree and global resources enable us to provide dependable products and services within the aerospace industry. In addition to offering a wide variety of aerospace approved materials, Simrit continues to develop unique materials for individual customer requirements and specific applications. Quality and reliability are paramount to us. FSL Aerospace Ltd was established in 1985 and has enjoyed 27 years of continued growth. An AS9 120 quality approved company; our focus is on providing innovative and bespoke supply chain management solutions. Our core products are fasteners, ancillary AGS products, build to print drawings and bearings. But we do not restrict ourselves to a specific range of parts. Our stock range is tailored to meet our clients requirements. All of these products can be released to either the British/American/European or O.E.M standards and backed up either by ISO 9001 or AS9120 certification.FSL Aerospace Ltd can set up and supply chain system that best suits your needs. Every solution for every client is unique. First, we endeavour to understand the structure, business processes, budgets and dynamics of your business. Once these have been identified, we then suggest the most appropriate solution. The experience and expertise of our people underpin all our service offerings. GE Aviation, an operating unit of General Electric Company, is a leading producer of jet engines and integrated systems for commercial and military aircraft, and aero-derivative engines for marine applications. GE Aviation also has a global service network to support these offerings. Technological excellence, supported by continuing substantial investments in research and development, has been the foundation of growth and helps to ensure quality products for customers. Headquartered in Cincinnati, Ohio (USA), the Aviation business employs more than 35,000 people and operates manufacturing, overhaul, and repair facilities worldwide. In addition, GE is part of a 50/50 joint venture company, CFM International, formed with SNECMA (SAFRAN) of France. With more than 23,700 engines in airline service, an aircraft powered by GE or CFM engines takes flight every 3 seconds. Goudsmit UK are an established sub-contract manufacturer based in Belfast, with a proven track-record of supplying quality engineered components into the Automotive, Medical, Oil & Gas and general manufacturing industries. Quality standards are key to our success. Goudsmit UK are ISO9001, TS16949 and AS9100 certified. Custom components are manufactured in our joint venture manufacturing facilities in China, to the bespoke specification of our clients' designs. With an established network of logistic partners, backed up with years of experience, we add value to our clients’ supply chain by project managing their product requirements from the early design stage through to delivery or warehousing. Founded in 1981, Hydratron provides a wide range of high pressure hydraulic, gas and pneumatic equipment for the Aerospace, Defence, Automotive, Oil &amp; Gas, Petrochemical, and Power Generation. At Hydratron we have a strong reputation and commitment to maintaining world-class quality and the Health &amp; safety of customers and employees whilst providing excellent service & support. We are certified with AS9100, ISO9001, ISO14001 &amp; OHSAS18001, with vendor approval, easily attained for all customers as required. By collaborative and sustainable partnerships with our customers and suppliers, based on trust and understanding, we ensure the delivery of first-class products and services. As well as our extensive range of Standard Designs, our in-house design engineering capabilities allow us to create “ground up” solutions for applications where there is no known precedent. We have R&D, FEA, PC/PLC Control and Mechanical Handling specialists in our team working on your behalf. We deploy technologies ranging from simple manually controlled, through moderate Data Acquisition, to full PC/PLC controlled systems, including remote control and data acquisition dependent upon the project scope and ambition of our customers. Please contact Hydratron for further product, applications, and consultancy services.